We love our Nescafe Dolce Gusto Melody Coffee machine. We got it 6 years ago as a wedding present and it's seen a fair bit of use. However when I saw this new coffee machine, the Mini Me, I really felt like I wanted to trade in my old one for this new one! My main motivation is that the Mini Me is so compact. In fact with the Mini Me it would be ideal to have one in the kitchen where our space is at a premium AND one in the bedroom for an immediate coffee infusion from the minute I open my weary eyelids in the morning! I love the design of it too, it's sleek and stroke-able. 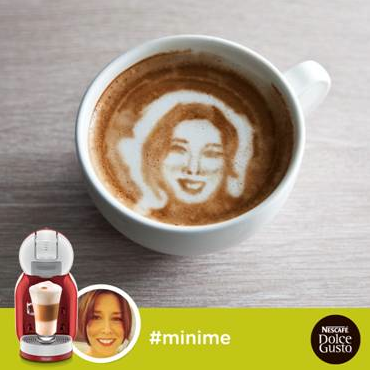 NESCAFÉ Dolce Gusto are also running a competition next week to win a Mini Me machine so if you fancy trying your luck at winning one of these little beauties then go to their Facebook page: https://www.facebook.com/NESCAFEDolceGusto GOOD LUCK!